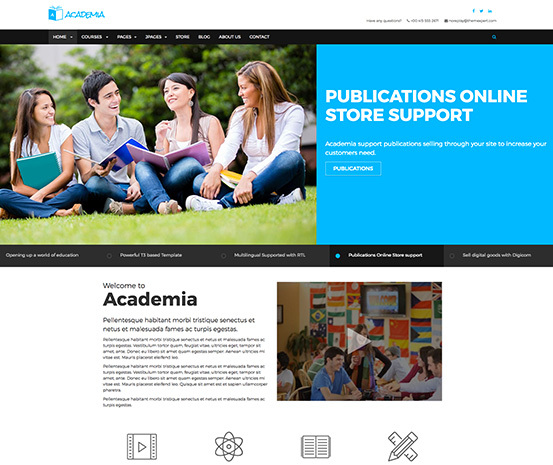 Academia is the another new generation education template developed by Themexpert team. This template is the best fit for the school, colleges, and universities websites and it is capable of fulfilling your all educational site requirements. Its modern edge designs coupled with latest web features flourishes the use of all functionality and provide an informative, contemporary experience for students and viewers. Having a hard time adjusting your eyes with the wide spread out the width of the site? Having difficulty to look at the big sized pictures? No problem, One Click with this feature and encapsulate your site in the middle by making it smaller and suitable to your taste. 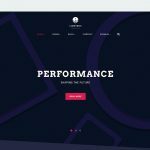 In this School Joomla Template, No need for custom changing of the color, five colored integrated presets allows your versatile imagination comes into reality, so choose your best combination without any hurdle whatsoever. Languages are adapted so that everything could be communicated, and academia knows no discrimination as it supports all types of languages whether its LTR or RTL. 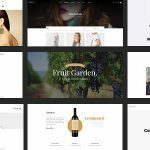 While keeping your interest in mind, academia comes with three different and unique homepage design variation so chose the best that suits your pride. Academia Education Joomla Template comes with TWENTY different built-in pages that ultimately styles out every possible idea you could have for your educational site needing no extra effort on making more pages. Mega menu looks beautiful on mobile too. Academia comes with off-canvas navigation support that provides beautiful mobile experience. Lightweight And Fast loading speed. Customing template look and feel is just a click away. Everything is highly customizable.